OMA has developed a wide experience in the integration of complex functions into hydraulic manifolds for use on many on-board hydraulic systems. Manifolds are typically made of aluminum and steel and can be opportunely designed in order to integrate Servovalves, Solenoid Valves, Check and Relief cartridge type valves, Pressure/Temperature Switches & Transducers, Spool & Sleeve assemblies and any other hydraulic device dedicated to fluid control, distribution and monitoring. 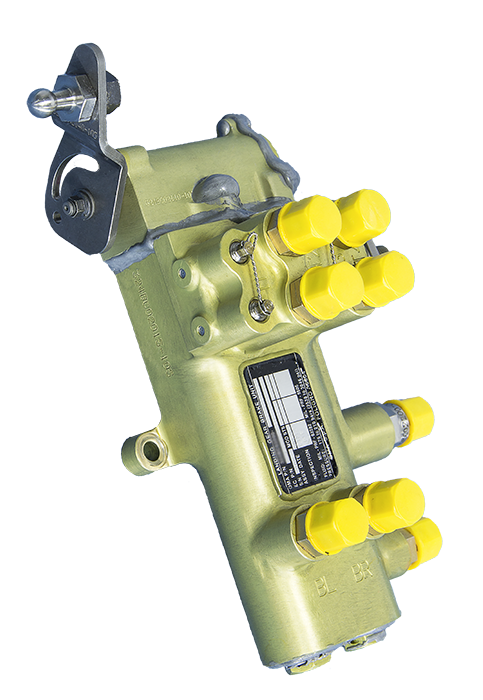 OMA equips several aircraft and helicopters with hydraulic valves and modules for use on Braking Systems. The proposed technical solutions range from Control Modules integrating servovalves for Brake-by-Wire applications, to Parking and Metering modules to support all the operative functionalities of the braking systems. 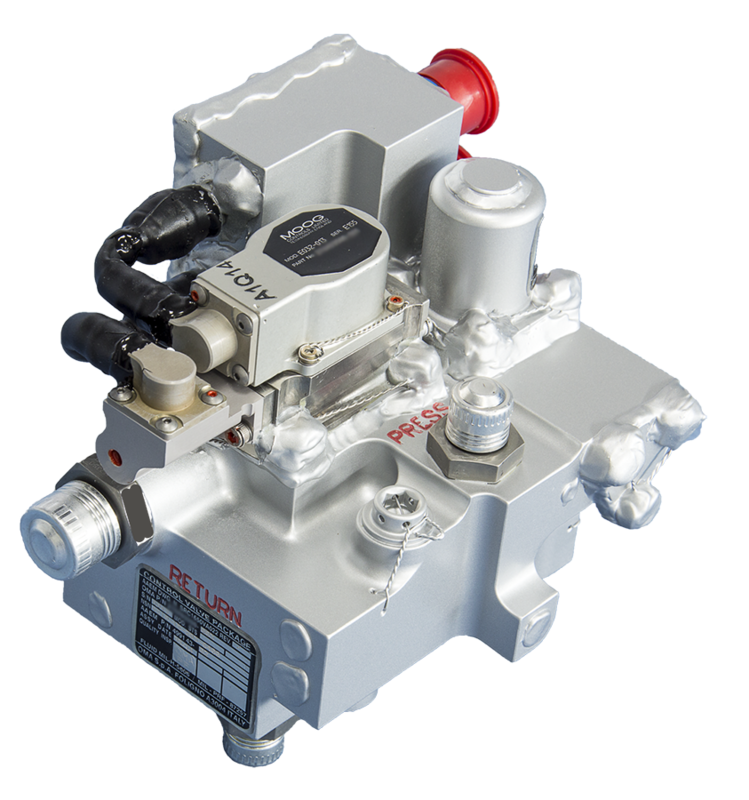 OMA product portfolio presents a wide range of solenoid valves for critical applications such as Landing Gear Control Valves, Flight controls, Braking systems, Thrust Reverser Systems and Utilities. The technical solutions OMA can offer take advantage from the capability to design and manufacture solenoids in house, providing full flexibility to adapt the electrically piloted valves to the customer needs for any specific application. OMA has a robust expertise in hydraulic swivel manifolds for use on folding/rotating hydraulic connections. The design solutions guarantee a low torque level throughout the extreme environmental conditions the equipment is requested to operate in. 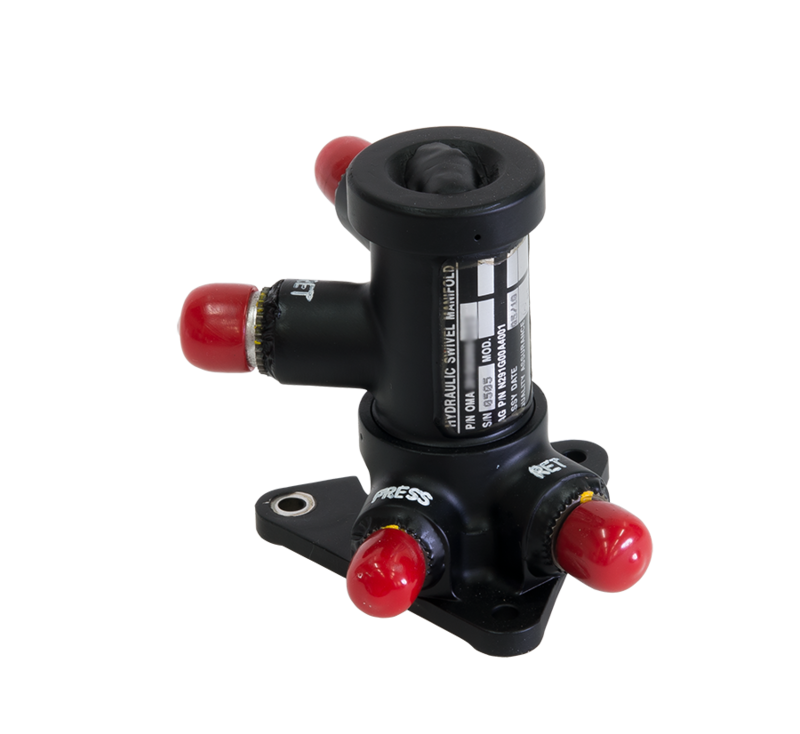 Pressure Relief and Regulating Valves are commonly used to regulate the pressure levels into the hydraulic components and systems designed by OMA. Single stage and two stage devices are both part of OMA capability list. NRVs are used to check the hydraulic flow and often integrated into hydraulic manifolds and systems. OMA is able to design and manufacture metal to metal and soft to metal seats in order to meet the most demanding low and zero leakage requirements.